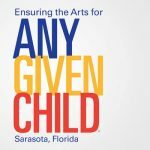 The Culture Collective gives those interested in the arts (ages 21-39) the chance to experience Sarasota’s world-class organizations at a dramatically discounted rate and exclusive access to pre- or post-show mix and mingle events. These events vary from cocktails, appetizers, behind-the-scenes tours, or a short, up close and personal presentation by a performer or director from the arts organization. Memberships include one ticket (Single Membership) or two tickets (Dual Membership) to seven scheduled performances between October 2018 – May 2019. Memberships also include access to meet-up events hosted by the Arts and Cultural Alliance and other exciting offers. If a member wants to bring a guest to a scheduled performance, they can purchase one additional ticket (based on availability) to the scheduled performance for $25 at the same time they reserve their seat to that performance. Reserving their spot to said performance must occur 48 hours before that event. Tickets and special offers are non-transferrable and can only be used by members with ID. Each individual Culture Collective member will be restricted to three years of membership. If a member cannot attend a scheduled event they will be allowed to call that organization’s box office to see if another date is available. These dates are chosen and offered by the organization as they see fit. *Receptions are held either before or after each performance with times to be announced.